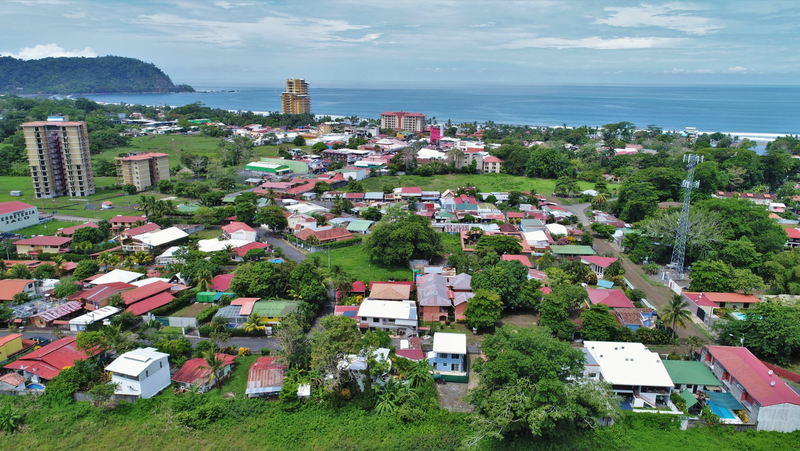 Tres Regalos Real Estate for Sale in Jaco Beach, Costa Rica! Located on the north end of Jaco Beach, Costa Rica, is Tres Regalos. The property is host to Jaco’s premier boutique condominiums and beach club. Tres Regalos is a beachfront project with 30 condominiums. There are 1, 2 and 3 bedroom units with different lay outs. All of Tres Regalos designer units feature the following; amazing ocean view terraces, deluxe kitchens with granite countertops, stainless steel kitchen appliances, marble showers in master bathroom, Italian porcelain showers in guest bathroom, washer/dryer and central air conditioning. Tres Regalos is a gated condominium complex and the amenities include: 24 hour security, two elevators, covered parking, pool and Jacuzzi, water back up system, exclusive beach club and concierge services, first class home owners association and rental pool and on site property management. Many owners have their condos available for vacation rentals. Tres Regalos is one of the few beachfront developments that allow pets. Browse through the real estate listings that we have for sale at Tres Regalos. Tres Regalos is on the north side of the beach of Jaco which is usually a bit quieter than the rest of the beach. Here you can enjoy the sunshine and the Pacific Ocean. Jaco is a very popular surfing place and a great spot to start learning how to surf. The beach and the Tres Regalos condos are the perfect place where you can watch the sun set in the Pacific Ocean. Tres Regalos is just a ten minute walk from the excitement of downtown Jaco where you can find shopping, many fine dining and local restaurant and bars. The night life in Jaco is famous in Costa Rica. There are many activities to do in and around Jaco. There are several tour options such as canopy tours, atv tours, crocodile tours, horseback riding and sport fishing. Nearby Jaco you will find a golf course. Don’t forget to visit one of Costa Rica’s National Parks where you can hike through the rainforest and see the wildlife that Costa Rica has to offer. If you are looking for real estate in Costa Rica feel free to contact our REMAX Oceanside office.